"Will you accept that marriage is dead?" The Film Arcade has unveiled an official trailer for the new film written/directed by Lake Bell (of the excellent In a World… previously) titled I Do… Until I Don't. The film is an ensemble comedy following three couples "stuck in the web of a jaded filmmaker looking to prove that marriage should be a seven-year contract with an option to renew." 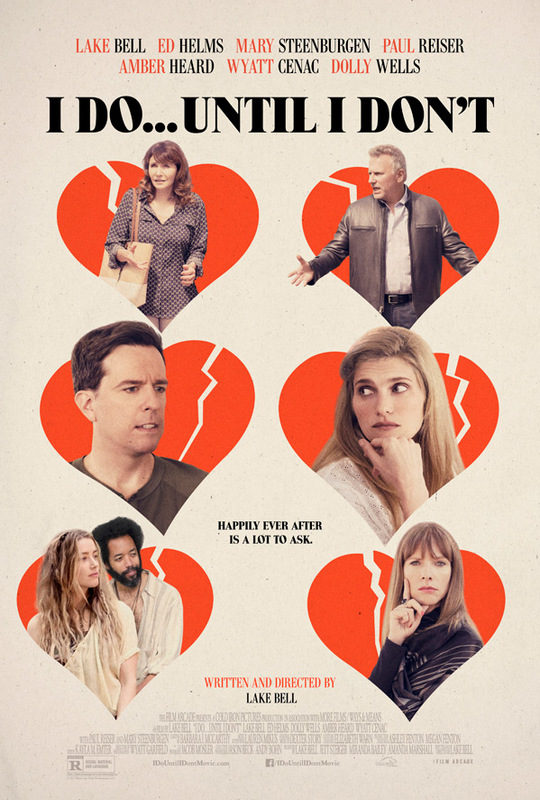 Lake Bell stars, along with Ed Helms, Mary Steenburgen, Paul Reiser, Wyatt Cenac, Amber Heard, and Dolly Wells. I've been waiting to see another film directed by Lake Bell, and I'm so happy to have another one out this year! This looks entertaining, if not a bit depressing, but I'm just excited to see Bell directing again. Fire this up below. An ensemble comedy following three couples stuck in the web of a jaded filmmaker looking to prove that marriage should be a seven-year contract with an option to renew. I Do… Until I Don't is both written and directed by American filmmaker-actress Lake Bell, of the outstanding indie film In a World… previously, as well as episodes of "Childrens Hospital". Formerly known as What's The Point? And Other Fair Questions About Marriage during development. The film has not premiered at any film festivals yet or otherwise. The Film Arcade will release Lake Bell's I Do… Until I Don't in select theaters starting September 1st later this fall. For more updates, follow Lake Bell on Twitter @lakebell and also @TheFilmArcade. First impression?